Wolverhampton Wanderers manager Nuno Espirito Santo has dismissed speculation linking Ruben Neves with an exit from the club. Neves has been linked with a number of huge teams in recent weeks, with Sam Lee of Goal reporting that Manchester City and Manchester United have been impressed by the Portuguese international. In addition, during the international break, Calciomercato said that Paris Saint-Germain were also monitoring the development of Neves. But Santo said on Friday he is paying no attention to the speculation and that Neves will be staying at Molineux for the time being, per Jamie Brassington of the Express & Star. "We are not surprised (Neves has been linked) because there is always speculation when our players play good," said the Wolves boss. "We ignore the situations, it doesn't affect us, the players know the reality, there is no transfers now so there is no point of talking." 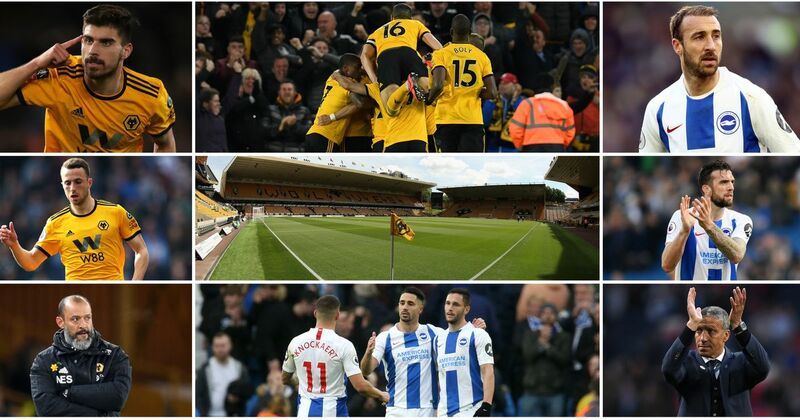 Wolves, having won the Championship last season, have enjoyed an impressive start to life in the Premier League, picking up five points from their opening four games. They earned a creditable 1-1 draw with Manchester City in their last home match, while they beat West Ham United with a last-gasp Adama Traore goal in their previous outing. Neves has been crucial to the strong performances so far and was a vital player for Wolves in their 2016-17 Championship-winning term. Ruben Neves with a pass worthy of Modric, Pogba or Iniesta. Doherty delivers a pretty decent cross too but Jimenez blows his chance for a goal of the month contender when the ball gets caught under his feet. The talent Neves possesses has been beyond question ever since he broke into the Porto team as a teenager. He excelled in the Portuguese top division as well as the UEFA Champions League, prompting links to some of Europe's biggest clubs. As such it was a surprise when he made the switch to Wolves. However, after a memorable season in the Championship, he is now playing against some of the world's best in a team many are tipping to perform well in 2018-19. As Santo noted, the interest in Neves was always going to emerge. Not only is he an excellent footballer, at 21 he still has plenty of time to get even better. While it's unclear whether Wolves will have ambitions beyond staying afloat in the Premier League this season, regardless of the position they find themselves in January the club will surely bat away any bids they receive for their star performer. But if Neves continues to excel in one of European football's most demanding divisions, the links to clubs in contention for big prizes domestically and in the Champions League will only continue to go. As such, next summer may see Wolves facing a challenge to keep their brilliant midfield tyro.